Google SketchUp is a software that allows creating and editing 3D images quickly and easily. It presents all advanced control tools in a simple way to facilitate its handling. Created: Google SketchUpâ€(TM)s main function is to create 3D image. For this, the user only needs to draw the plan in 2D and stretch it with a specific tool to convert it in 3D shape. In addition to that, it has all common editing tools such as pencil, rubber and also different predefined shapes like circle or square that can be used to modify 3D objects. 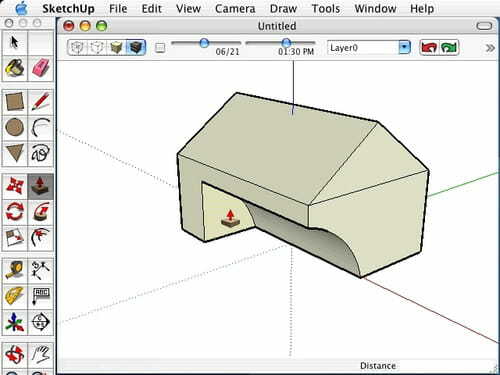 Google SketchUp allows working both with 3D and 2D images. Indeed, it supports importing files in JPG, PNG formats. Of course, it is also possible to use popular 3D files like 3DS, DWG and KMZ. This software generates a quick and flexible rendering that can be checked in real time. Thanks to that, all performed changes can be directly visualized so as the user can modify it again if necessary. Latest update on October 31, 2018 at 06:10 AM.